Sometimes it’s good to take a break. Maybe “rest” and “relaxation” are two of your favorite words. Maybe just reading those two words conjures, for you, a cozy wonderland of blankets and pillows and semi-conscious bliss. Or maybe you’re a different kind of person, the kind of person who thinks “rest” sounds like a dirty word. I’m talking to the people who laugh knowingly, perhaps even haughtily, at the meme that says, “Where is my ‘rest muscle,’ and how do I train it?” We feel guilt, or FOMO, or anxiety about losing gains. So we hit the gym every day, or more than once a day, never giving our bodies much of a break. But going without rest is nothing to #humblebrag about, fitness experts say. “It’s time we address the overwhelming population of fitness enthusiasts who push (and often cross) the line between ‘healthy’ and ‘excessive.’ Excluding professional athletes and elite competitors training for their respective sports, the practice of skipping rest days or implementing two-a-days is not only unnecessary, it’s damaging,” reads a blog post on the website of MADabolic Inc., a fitness studio in Atlanta’s Old Fourth Ward. Part of a nine-location chain, MADabolic offers 50-minute classes (with an appealing $10-for-the-first-10-days deal) crafted around structured intervals of work and rest. These classes, which typically start with about 10 minutes of instructor demonstration and warm-up, keep to one of three themes: Momentum (focusing on athleticism and endurance), Anaerobic (speed and power), or Durability (“a grueling display of strength and stamina”). Depending on the day and the workout—scrawled on a white board and led by instructors who pay close but kind attention to form and execution—you might go from powering through kettlebell squats at 70 percent of your maximum level of exertion, then rest before moving on to agility ladders, windbikes, or free weights. Then you might go through the circuit again at 80 percent, then 90 percent. 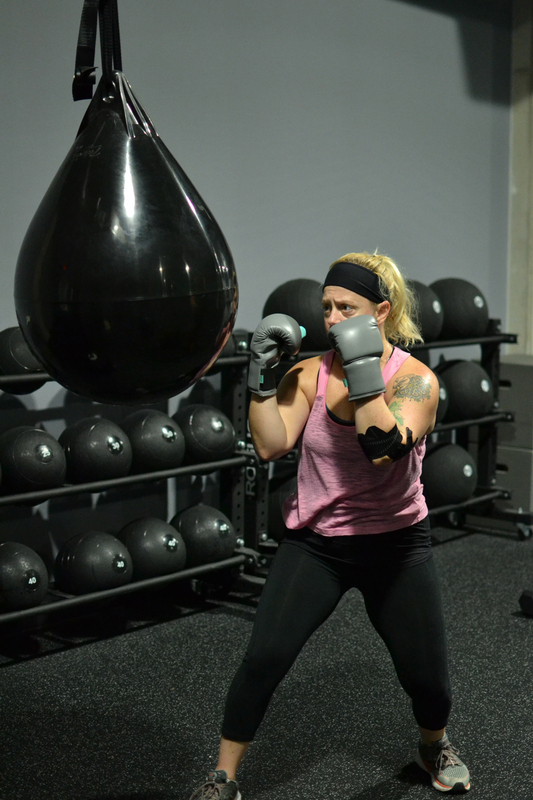 Every workout includes multiple stations; boxing is always one of them. The music is loud and motivating. The scene is very sweaty. MADabolic says this approach torches calories and makes you stronger. Indeed some science backs up that claim—research from Applied Physiology, Nutrition, and Metabolism found that met-con training can increase muscle function and metabolic performance in women. Those studied in the research saw increases in squat endurance, aerobic power, and anaerobic capacity. So maybe it’s time for the fitness freaks among us to adjust our approach to relaxation. Maybe, just maybe, it’s time we gave it rest.